In supplements and fortified foods, vitamin D is available as either ergocalciferol, known as D-2, or cholecalciferol, known as D-3. Large doses of either D vitamin can lead to high calcium blood levels, a condition called hypercalcemia. Vitamin D-3 itself is not associated with anxiety, but anxiety may be a symptom of hypercalcemia. Consult a qualified health-care provider before taking Vitamin D supplements. You can obtain vitamin D from sunshine, fatty fish, fortified dairy products and other fortified foods, and supplements. Vitamins D-2 and D-3 are chemically similar, but at high doses, vitamin D-3 appears to be more potent than D-2, according to the Office of Dietary Supplements. 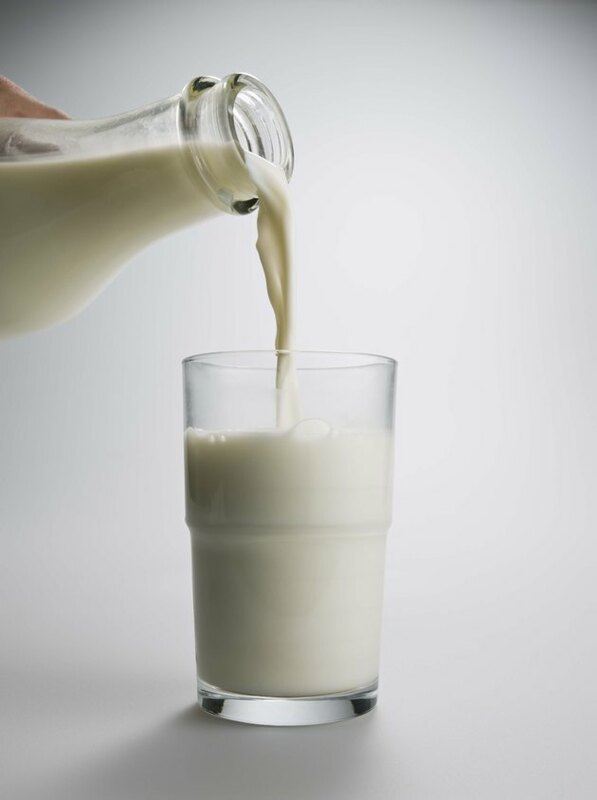 One function of vitamin D is to enhance calcium absorption and to maintain adequate levels of serum calcium and phosphate, which is important for bone health. Taking vitamin D-3, in particular, along with calcium seems to help prevent bone loss and fractures in people with osteoporosis, reports MedlinePlus, a website of the National Library of Medicine. The recommended dietary allowance of vitamin D for people aged 1 to 70 is 600 IU, or 15 mcg per day, and for those age 71 and over, 800 IU or 20 mcg per day. The tolerable upper intake level for vitamin D is set at 4,000 IU, or 100 mcg for people aged 9 and over. It's very unlikely you could eat enough food containing vitamin D to cause toxic side effects, according to the Office of Dietary Supplements. High doses of vitamin D supplements can cause problems, however, particularly if you take them on a long-term basis. Vitamin D toxicity is associated with lack of appetite, weight loss, excessive urination and abnormal heart rhythms. It also can elevate blood levels of calcium, which in some instances causes calcification in organs and tissues. Severe hypercalcemia is rare, but mild chronic calcium elevation is relatively common, notes the Cleveland Clinic. A variety of symptoms may indicate chronic hypercalcemia, including some psychological ones such as anxiety, depression and cognitive difficulties. Some people also experience headaches, fatigue, constipation, abdominal pain, lack of appetite, muscle weakness and body aches. A study published in the October 1996 issue of the "Journal of Psychosomatic Research" compared anxiety and depression levels of 55 patients with chronic hypercalcemia with test norms, with a group of orthopedic patients and with a group of patients with high blood pressure. Sixteen percent of the hypercalcemic patients had high scores on anxiety testing and 16 percent were diagnosed with depression, but there were no significant differences between that group and the comparison groups.